Kim Dupuy - attended Upper Iowa University where she studied Elementary Education with endorsements in early childhood education, special education and reading. 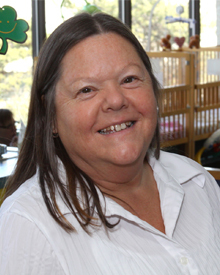 Kim loves working with children and has done so for the past 24 years. She has also worked in a variety of different positions including teacher associate, teacher and director. Currently Kim lives in DeSoto with her husband Doug, daughter Zoe, and their dog Maggie. She also has two grown children, Grant and Lauren, and grandson, Kaden. In her spare time Kim enjoys spending time with family, reading and cheering for the Hawkeyes. Joy Gappa - has worked in childcare since she was a high school senior. After graduating from DMACC with an AA degree in early childhood education, she started at the Child Development Center. Joy has three grown children, one grandson and two granddaughters. 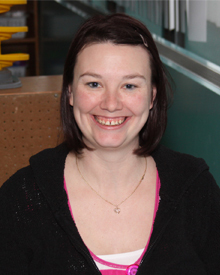 Jennifer Gibson - is a 2006 graduate of Grand View University with a bachelor's degree in Elementary Education. Previously she was an onsite supervisor at another daycare for two years, and has worked with ages two through elementary school children at child development centers. Jennifer also served as a substitute teacher for two years teaching preschool through third grade, including special education. Jennifer lives in West Des Moines with her husband Mitch and son. She enjoys reading, cooking, spending time with family, scrapbooking and working with children. 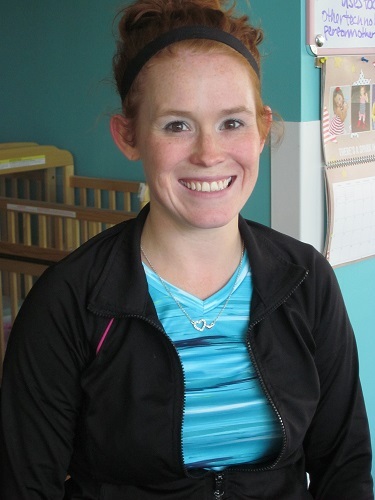 Ashley McCubbin - started at the Center in May of 2014 and has been working in the infant area since. She comes to us with her B.S. in Child, Adult, and Family Services with a minor in Family Finance, Housing and Policy from Iowa State University. Ashley, Ross, McKenna and Hayden live in Urbandale. She enjoys running and scrapbooking in her free time. She works 8-6, M-TH. 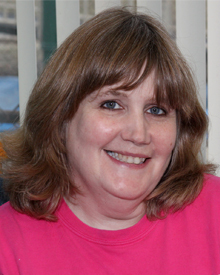 Ann Ryan - Lead Teacher - earned her elementary education degree from Iowa State. She has experience working with children 6-weeks old to 18-years-old. The majority of her experience is with infants and 2-year-olds. She has worked for the center since September 2000. Karen Rees – Karen graduated from Des Moines Area Community College with her Associates degree in Early Childhood Education in 1981. She worked for UnityPoint Health from 1996-2008. She then worked as the Foster Grandparent Program Director from 2008-2016. She has been back at UnityPoint since December of 2016. She has worked with children of all different ages with her specialty being infants. Shanda Walker - received her early childhood education degree from Iowa Lakes Community College. She has 12 years experience working with infants and toddlers. 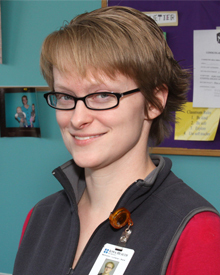 Shanda has been working with the center since September 2010. She lives in Grimes with her daughter. We care for children approximately 6-weeks of age to 12 months. Each child is assigned to a primary caregiver that is responsible for the child's specific needs on a daily basis. Child to staff ratio in the infant area is one caregiver for every four children. There are four rooms of infants. Group size in each room is one teacher and four children or two teachers and eight children. Children are cared for on an individual basis and their personal schedules are followed. Infants are taken outside as weather permits. Parents need to bring their own diapers, wipes, ointments, formula, bottle liners and extra clothing for their infant. The center provides one brand of formula, bottles, bibs, spoons and blankets. Ongoing assessment of the children is done by observing and recording children's work and developmental progress. This collection of a child's work, called a portfolio, documents the child's progress and facilitates planning for each child. It is shared with parents every six months and again during conferences before your child moves up to the next age group. To meet the individual needs of each child and have excellent communication between staff and parents on a daily basis. To present a happy, fun, safe, and stimulating environment for each child. To promote interaction between children and to promote their social, physical, and emotional growth and development. We follow each child's individual schedule, but do have an approximate mealtime if your child is on table food. Breakfast - 8:30 - 8:45 a.m. Lunch - 11:30 a.m. - 12:30 p.m. Afternoon Snack - 3 p.m.